Barrett/Cole/Marley; Barrett/Peart; Ford; Ford/Marley; Marley; Marley/Mayfield; Marley/Perry; Marley/Tosh; Marley/Williams. Very Good. In very good packaging. 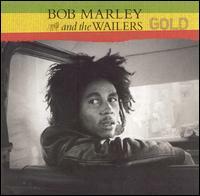 Bob & The Wailers Marley-Gold by Bob & The Wailers Marley. Barrett/Cole/Marley; Barrett/Peart; Ford; Ford/Marley; Marley; Marley/Mayfield; Marley/Perry; Marley/Tosh; Marley/Williams. New. Originally released: 2005. 2 discs. CD, artwork and case are in very good condition, shipped with tracking number.